With HIDDEN slowly gaining popularity and us considering to make it a game that can be played online, I felt it essential to have a place where players can go see their recent stats. Elite, a service provided by Call of Duty to track stats crossed 10 million users one year ago. Players definitely like having a place to access their stats. 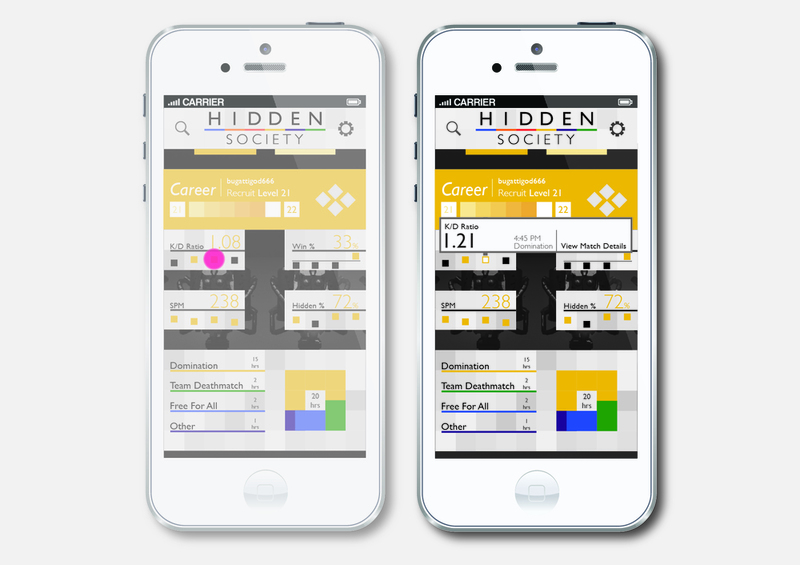 Hidden Society is the app that will do this for Hidden. 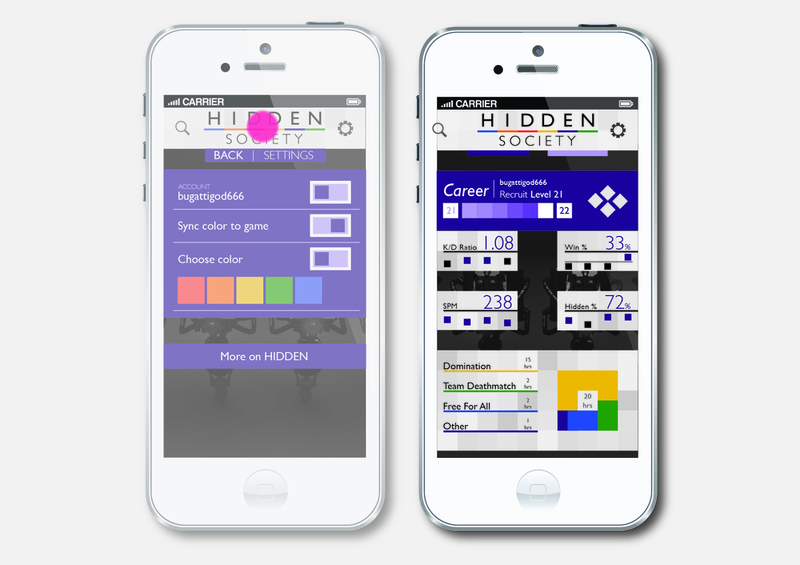 The color palette of the app can be linked to the game itself. The color a player chooses most in Hidden affects the look of the app. Users also have the option to choose the color on their own within the app. The visual design takes a lot of inspiration from the simple shapes and limited colors from the game itself. 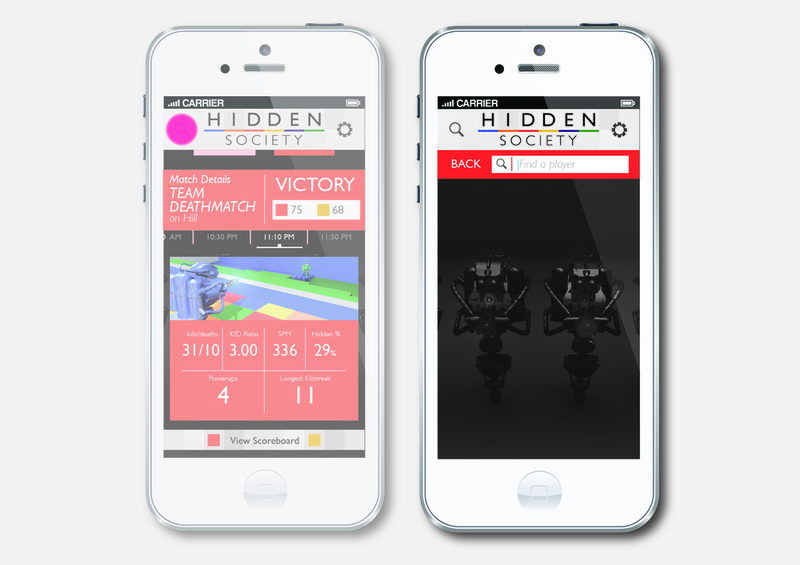 Unlike apps that store and display game data, Hidden Society shows all the information a FPS (first person shooter) gamer needs in the quickest way possible. 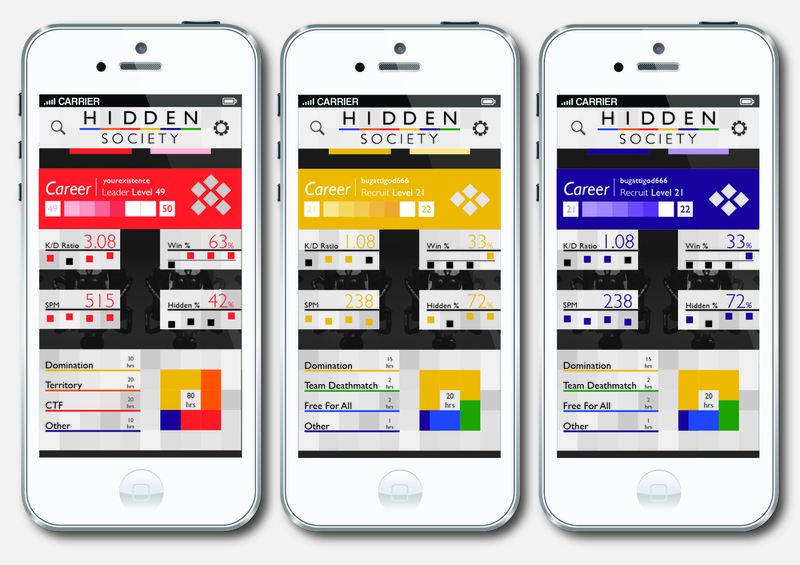 From your kill/death ratio, win percentage, time spent playing different game modes to details and scoreboards in recent games, the app shows it all with just a few touches. 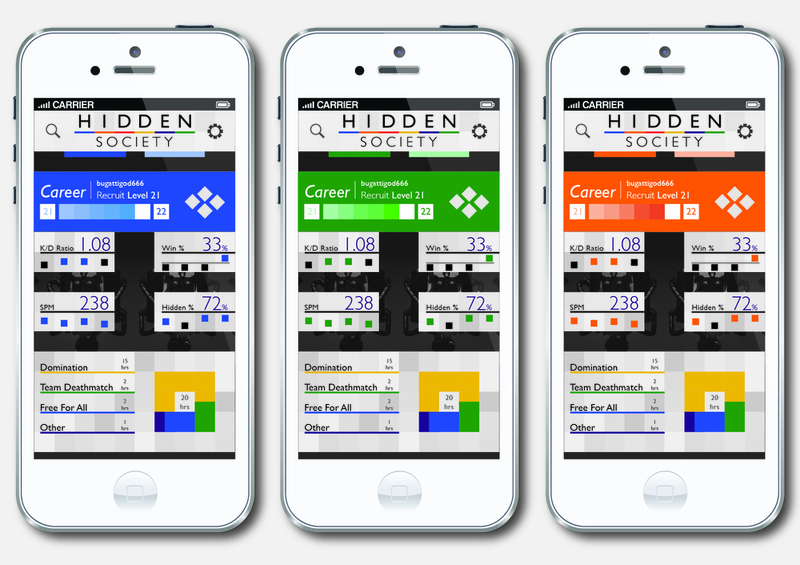 You can find other players and view their stats on the app as well. 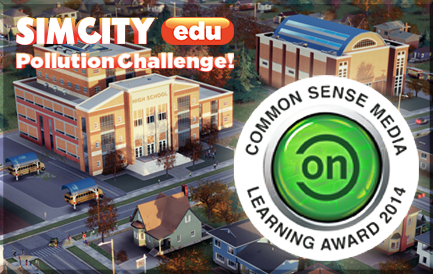 Apps for games like Call of Duty have too much in them and they are hard to navigate. Being a big FPS player myself, I had a general idea of what is important. However, choosing what to keep in the app, what gamers really want to see was decided after questioning a lot of FPS players.